Yes you read that right. 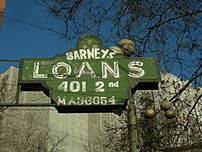 Obama’s plan will also help you refinance if you have rental properties. Last week Fannie Mae and Freddie Mac announced they would refinance rental and second homes as part of the Obama administration’s housing relief effort. That is a relief! It seems that finally these lending giants have realized that helping small investors will also help renters and if nothing else provide homes for the foreclosed upon. Here’s the skinny. First, the loans must be owned by Fannie or Freddie. If you don’t know, call your servicer to find out or go to Fannie and Freddie websites. If your loan is with another entity or a private lender, you will not be eligible. Just as with owner-occupied properties, the loan to value ratio cannot exceed 105% and that is up to $729,750 loan amount. Let’s say you bought a duplex or a fourplex a few years back for $500,000 with a first mortgage of $400,000 at 7.5% and that loan has now been acquired by Fannie Mae. You may well be able to refinance into todays 5% and 6% rates, thereby greatly increasing your cash flow. Even if the value of your property has dropped in the intervening few years, as long as the current market value is at least $420,000, you can do it. Of course, you do have to be a good prospect for a refi. Your payment history on the loan should be close to perfect–no 30 day lates in the past 12 months. Even if you’ve had other financial woes which may have tanked your credit score, it’s still possible because Fannie and Freddie have agreed to waive their usual minimum score requirement and you won’t have to pay for new mortgage insurance [pmi]. You will have to show income to qualify–often investment income from the building is enough–and there will be the usual closing costs which will increase your loan balance. All in all, though, this is a great deal!